Is Bardarbunga Volcano eruption near? 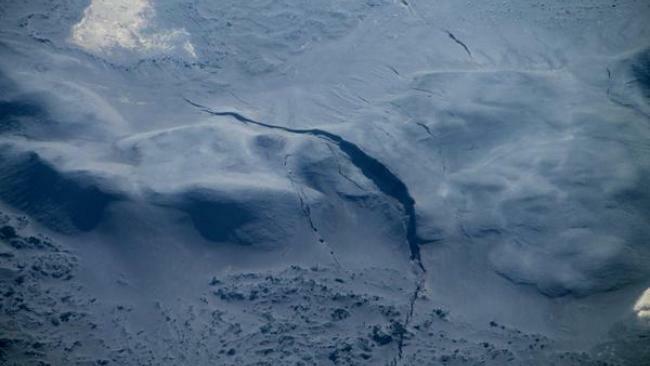 Cracks and sinkholes appeared in the ice that encases Iceland’s Bardarbunga volcano. 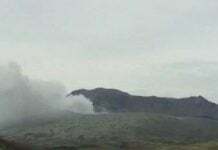 The volcano, which has been on orange alert for days, sits several miles under the Dyngjujökull glacier. Bardarbunga Volcano update: Ice fractures and sinkholes are forming in the glacier covering the icelandic volcano. Several 3.5-mile long rifts in the ice have been spotted by volcanologists during a monitoring flight on Wednesday, August 27, 2014. 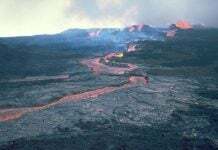 Moreover, the scientists observed calderas resulting from the collapse of the volcano itself. Moreover, 50-feet deep sinkholes and 10 to 15 circular fractures were also spotted during the same flight. Although not a definitive definitive eruption sign… the volcano is active! The large cracks in the ice and the other signatures were seen in the same area where seismic activity has ramped up over the last two weeks. 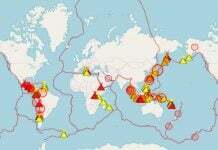 Seismologists have been concerned about a possible eruption, particularly as earthquakes grow in size and frequency. Wednesday alone saw at least two tremors above magnitude 5 at the volcano. Some 500 quakes have hit the area since midnight.